Despite his super busy schedule and the thick traffic that he had to go through, Mario Lawalata was more than determined to reach his favorite spot for dinner. That’s also the reason why we decided to intercept him right where he headed. Jalan Panglima Polim has now become one of the most frequented spot for good food and good drinks. Despite surrounded by modern restaurants or fresh concepts, Cangkir was chosen by Mario for a very specific reason for his dinner. “I have been a fan of its lamb satay since the time this street was still quiet”, he said. Business was slow that night for the restaurant but that does not dampen the spirit of Mario to enjoy the restaurant’s finest, and by that we mean the fat-coated lamb satay that will surely make anyone drool at the first sight. Mario routinely exercises, as seen from his built stature and his hobby with playing basketball. Even so, he’s easily tempted with food. “My friends know me too well that I would not reject them asking me out to eat, whenever and wherever”, laughingly he said. 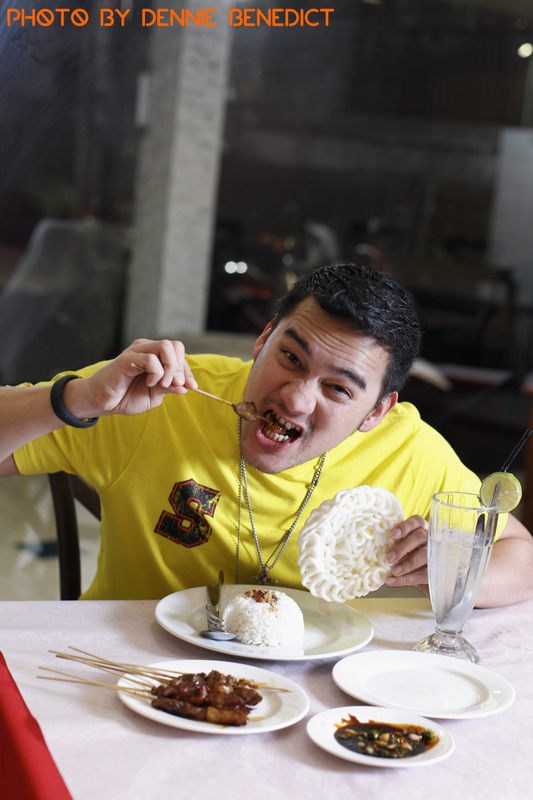 “My two main weaknesses are these two meals – KFC and Indomie”, said Mario further confessing his foodie nature. The two meals are probably what typical Indonesians are fond of, especially the latter, but why are they so special for Mario, you might ask. “Despite that I’m restricting myself to have these only like once a month – at least, but when I get to it I can eat as many as 8 cuts of chicken or two noodles at once with rice and meatballs”, he said it loud without hesitation. Currently however, Mario is about to exercise a strict regimen for the up and coming sitcom project as the replacement of the current, waning predecessor comedy that has become a legendary show in a local TV station known for its variety shows. “The principal shooting will take place soon and hopefully it will be aired after Lebaran”, said the sibling of the famed fashion designer Oscar Lawalata.